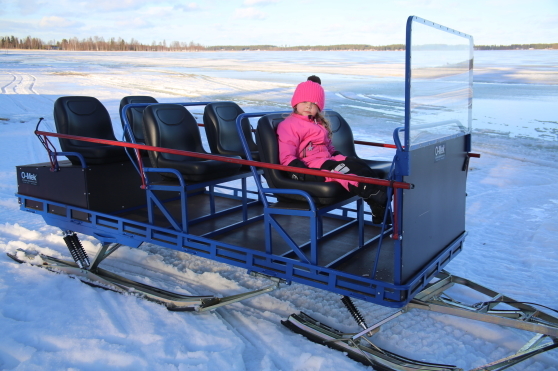 If you rent a coastal island cottage in Piteå archipelago in winter time, we can provide a snomobile sledge transfer in connection to renting the cottages (Our island cottages >>). 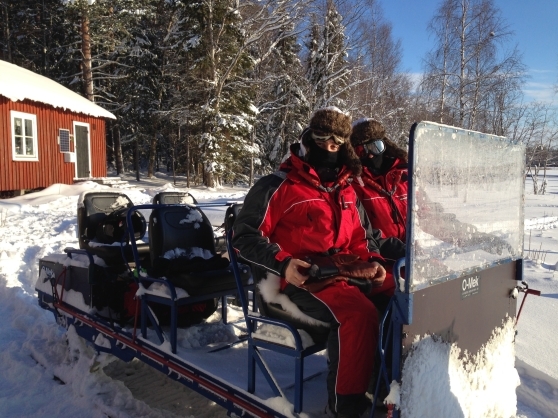 On our transfer sledge upp to 6 persons sitt confortable and protected from cooling speed wind. 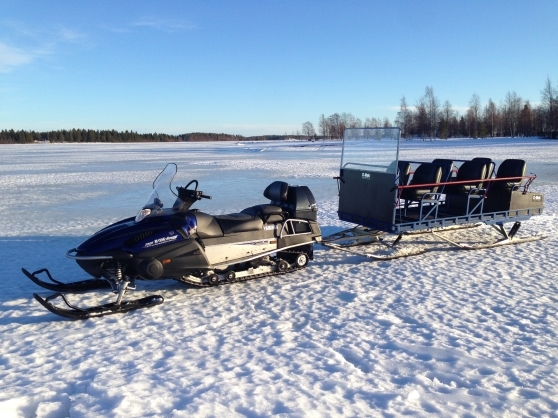 We follow only probed (ice-drilled for thickness mesure) snomobile trails on the sea ice. The tour may be cancelled at improper weather, i.e. strong winds and dangerous ice conditions. Booked persons will be notified by SMS and booking fees refunded. 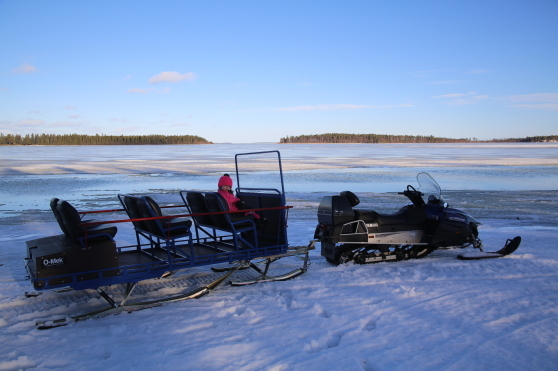 Turen kan ställas in vid olämpligt väder, dvs. stark vind eller osäkra isförhållanden. Bokade meddelas via SMS och turavgiften återbetalas vid inställd tur. 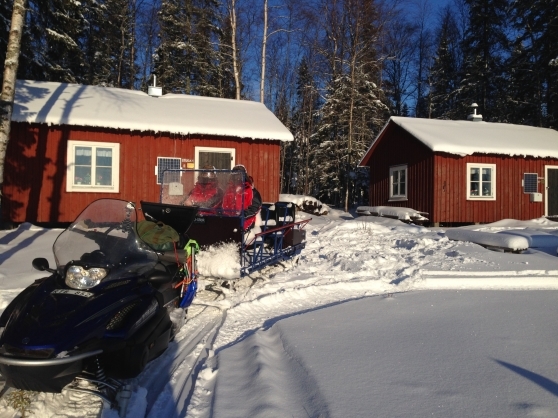 Transfer by taxi snowmobile from Renöhamn marina to the island cottage both ways. 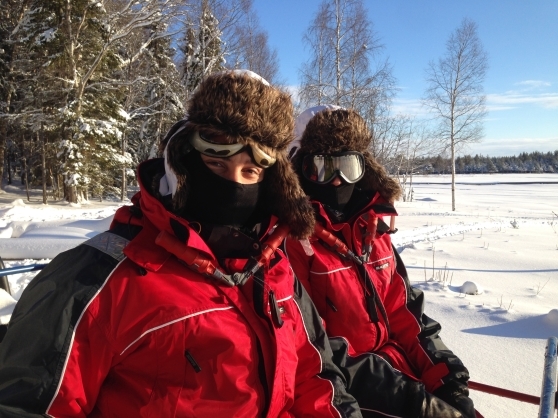 protective clothing if necessary at cold conditions. 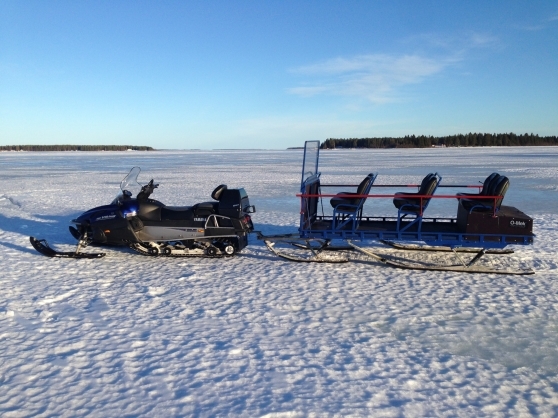 Snöskoter-transfer från Renöhamn till skärgårdsstugan t.o.r. 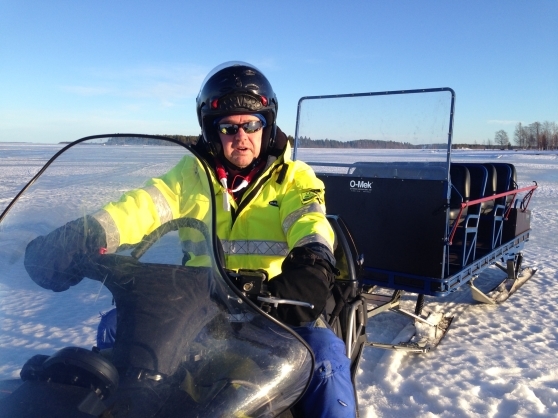 vid behov vinteroverall vid kall väderlek.